20% of gym memberships purchased in January are cancelled within the first 3 months. This rises to 60% within the first 6 months. I completely made that up. But if I’d researched it properly I’m sure it would be close to that, if not more. I have never been a part of those statistics, I knew I would never go to the gym. I am one of the least motivated people when it comes to exercise. I wish I wasn’t, but I am. But being the wrong side of 40 you begin to realise that your ability to eat and drink what you want and stay slim no longer holds, and if you don’t keep healthy you’ll be in trouble. 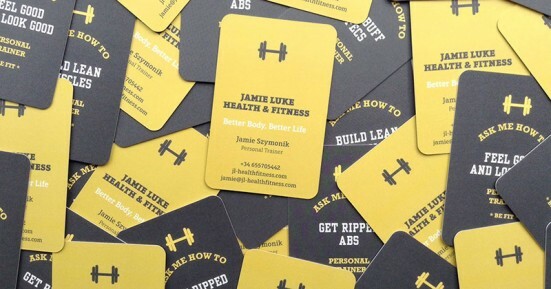 So I was a prime candidate for Jamie Luke Health & Fitness, a personal trainer based here in Barcelona. Jamie contacted me and asked if I’d like to try out his particular style of personal training. My own personal trainer? I jumped at the chance. 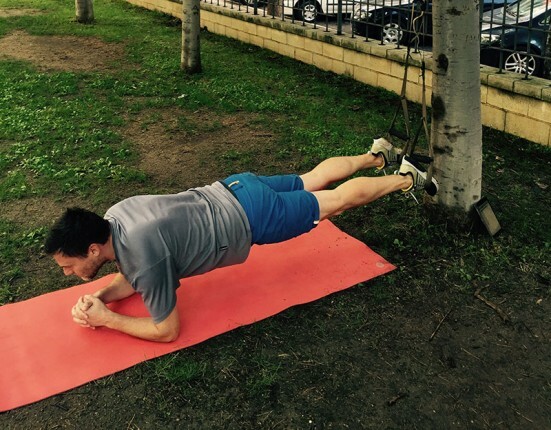 Jamie practices suspension training or TRX (Total Body Resistance Exercise). This form of full body workout was developed by Navy SEAL Randy Hetrick in 1997 when he was looking for a way to train when deployed. There are hundreds of different exercises that can work nearly every muscle in the body. 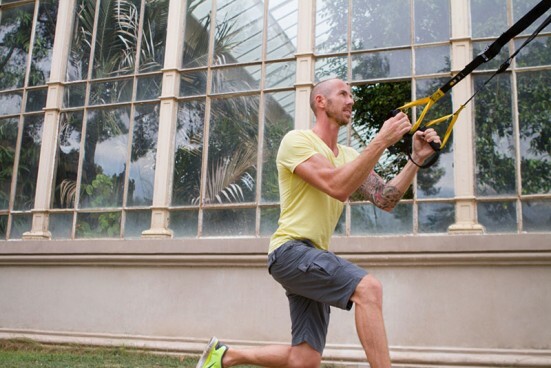 All you need is the basic TRX kit which is a pair of straps with handles that are fixed to a point. This can be an attachment on a wall, a door frame, or as we do, around a tree. That’s one of the things I love about this training – it’s outside. And Jamie will come to wherever is convenient for you, although he has a few key spots around town that he has checked out, Parc de la Ciutadella being a favourite. Each session is 45 minutes. Jamie tailors the session for each individual. He’ll also help you with a nutrition plan if this is something you’re looking for too. The benefit of having someone constantly push you is invaluable for me. Even with the knowledge I just wouldn’t push myself as hard even if I made it to the gym. Jamie knows when you’re slacking and always gets that little bit extra out of you. Ultimately this is what makes the difference. Jamie gave me 3 free sessions initially. Of course he hoped I’d write about him, that’s just good marketing. I started with Jamie back in August. After the first 3 sessions I immediately continued, he had me hooked. I’ve been doing it twice a week since. We have already booked in the first 8 sessions of this year too. I love it! It’s exactly what I needed at a price that isn’t outrageous, certainly compared to anything in London. And I incorporate a bike ride into it too. If your approach to exercise sounds anything like mine then I encourage you to try him out. This is proven strength training coached by a top bloke. There’s a very good chance you will find it life-changing. You can get in touch with Jamie via his website, www.jl-healthfitness.com. And also follow him on Facebook and Twitter. Here’s to a healthy 2016! I’m off to train now. Looooove TRX, used to hate it cause I never knew how to use it, but the best ab workouts I’ve ever gotten are from TRX. Well it worked, I’m definitely getting in touch with Jamie next time I’m in town.